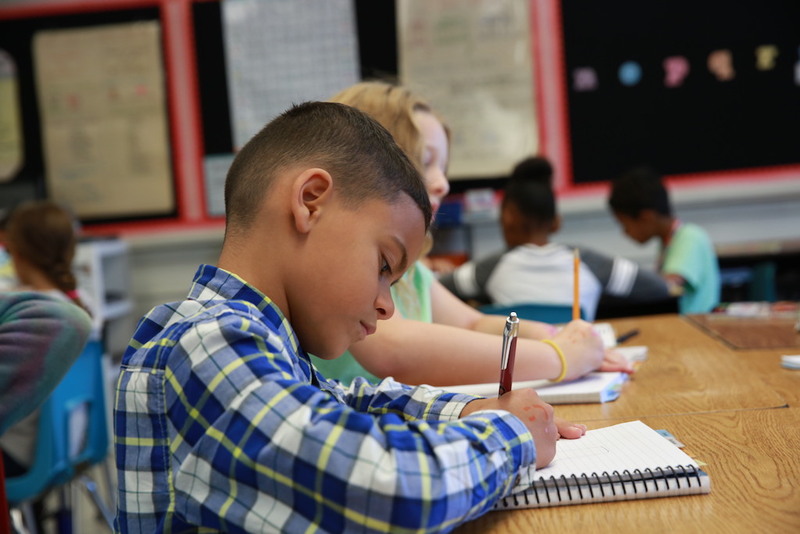 For English language learners, a reader's notebook is a safe place to practice a new language. It eventually becomes a record of their progress not only in content and literacy knowledge but in acquiring a new language. However, they may do more drawing than writing as they are learning the language. Drawing is key because it provides a way to rehearse ideas. Use this opportunity to ask students to talk about what they have drawn, and then help them compose levels for their artwork so they begin to attach meaning to the english words. In some cases, you might choose to pull together small groups of students and engage them in interactive writing, in which the teacher and students share the pen. This might be particularly helpful with ELL's who might still be learning English letter and sound correlations. From The Reading Minilessons Book, Grade 3 by Irene C. Fountas and Gay Su Pinnell. Copyright (c) 2019 by Irene C. Fountas and Gay Su Pinnell. Published by Heinemann. FAQ Friday: What has Changed in the Updated Spanish Benchmark Assessment System?